Free Mobile app to help you search: Keller Williams Mobile App. When you hire Leonard Saavedra of Team Sans Souci, not only are you hiring one of the top real estate agents in Gilbert, Chandler, Mesa and the greater Phoenix Valley, you are hiring a friend for life! Leonard Saavedra has a passion for his job as a real estate agent and the service he provides his clients is top notch. Leonard Saavedra is a proud resident of Gilbert, Arizona and is well versed with the City of Gilbert and the Gilbert Real Estate Market. Leonard can tell you where the best Gilbert, AZ schools are, where to go for the best happy hour in Gilbert, Arizona, where one can raise chickens (he has them!) and where you can find the best BBQ in Gilbert, AZ! Whether you are looking to buy or sell a home in Gilbert, Arizona, Leonard is the real estate agent for you. "Many people are aware of the concept of extreme customer service, but few have the good fortune to experience it. With Leonard, I can attest that you will enjoy extreme customer service. I've heard of the nightmares that many buyers experience during a short-sale purchase, yet Leonard walked all of the stakeholders through this patiently and with expertise. Lest you think that was no small feat, how many people do you know who have closed on a short-sale within 4 weeks? Leonard helped to keep all parties informed and moving along the process. In addition, his help coordinating lock changes, a new pool service and other details really helped to smooth the final transition--especially for an out-of-state buyer. Further, he helped to focus our search by providing valuable data to assist in making an informed decision. I wholeheartedly recommend Leonard for any of your real estate buying or selling needs. You will thank him." “I would like to let you know how appreciative I am, that I was able to work with Leonard Saavedra. As a Real Estate Broker I work with many other agents that do not understand today’s market and the problems that arise. Leonard is not that way. He is on top of everything that is going on and catching problems before they arise. He is easy to talk to and goes above and beyond his duty for his clients. I broke my wrist during our transaction with made it impossible for me to do some of the things I needed to do for my clients and Leonard stepped up and did them for me. This was not his responsibility but he did not hesitate to help. I would be proud to have Leonard work for my company. I wish him all the best with his business and life. " 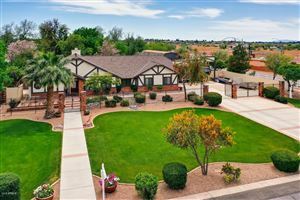 " Now that the escrow has closed on my property in Scottsdale, I wanted tp take a moment and thank you for all that you did to make this sale work. I understand that the Phoenix area market is difficult right now, and buyer demands while a property is under contract seem never-ending, but your efforts made those issues almost unnoticeable to me. I'm sure you did even more than I'm aware of to make the deal work, and I truly appreciate it. I have made multiple real estate transactions over the past 30 years, and I can honestly say that you have been the best and hardest working real estate professional I've ever worked with. This was quite an advantage for me as an out-of-state seller. Leonard, thanks again for making this such a pleasant selling experience, and I'll be sure to recommend you to anyone in the area looking for a Realtor.